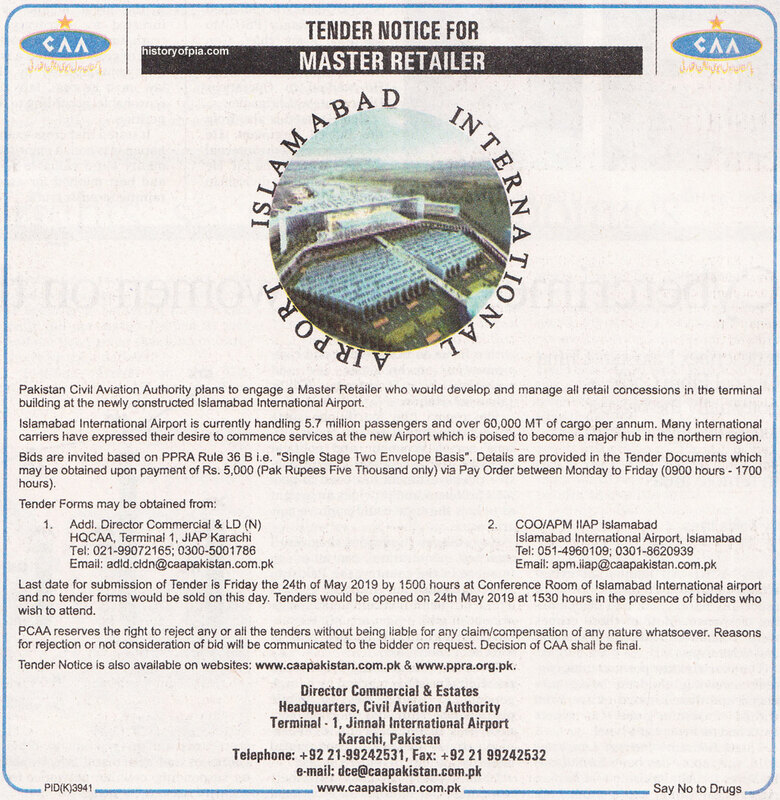 Pakistan Civil Aviation Authority (CAA) plans to engage a Master Retailer who would develop and manager all retail concessions in the terminal building at the newly constructed Islamabad International airport. 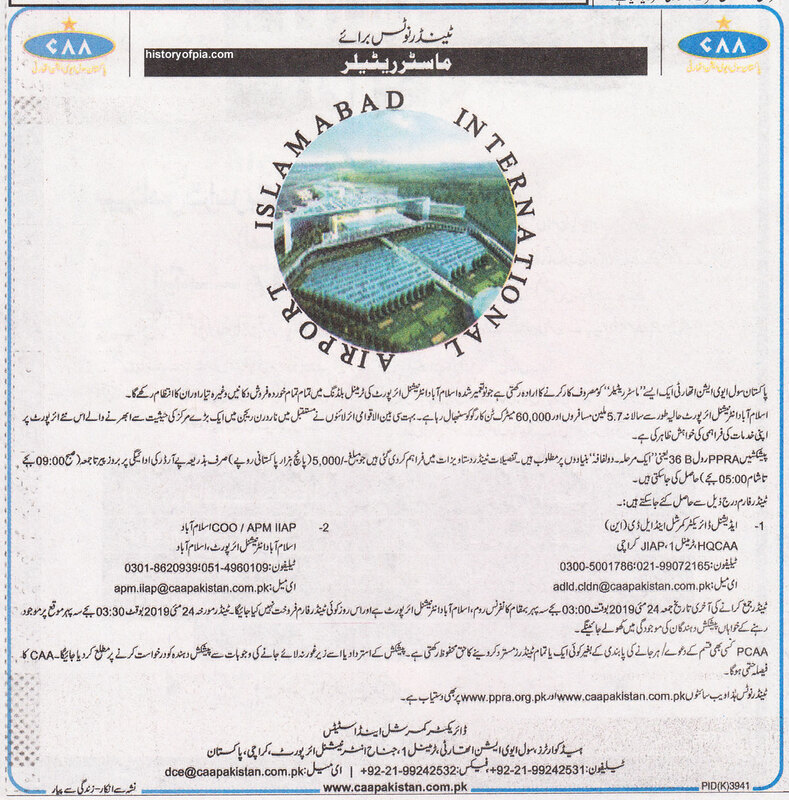 Islamabad International Airport is currently handling 5.7 million passengers and over 60,000 MT of cargo per annum. Many international carriers have expressed their desire to commence service at the new airport which is poised to become a major hub in the norther region.